Other hotels cannot match our lowest price when it comes to finding a suitable room. At Quality Inn & Suites Hollywood Boulevard, we offer accommodations that are budget-friendly, but you do not have to settle for less-than-stellar service. You'll receive free Wi-Fi, coffee maker, microwave, refrigerator, iron and ironing board, soft mattress, fresh linens, steady supply of pillows, a safe, and a hair dryer. We're eco-friendly, and we accept pets. Call us today at 877-981-1800 to find out how we can enhance your travel experience. Quality Inn & Suites is part of the Choice family chain of hotels, giving you a stress-free environment and beautiful surroundings. Our hotel amenities include a free continental hot and cold breakfast, outdoor heated pool, sundry shop, business center, laundry services, elevator, and 24-hour coffee. 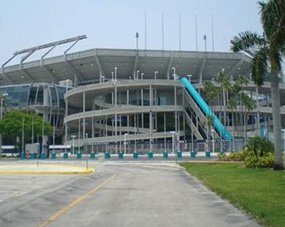 Take advantage of our free parking, and we provide low-cost shuttle services to help you around town. We have services in mind for all types of visitors, whether you're here on business or pleasure. Other places cannot match our lowest price, and we proud of our great reputation in the community. 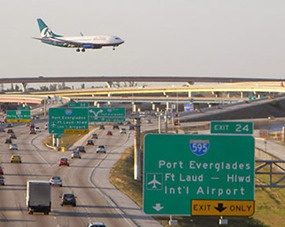 if you're traveling from Fort Lauderdale Airport, our hotel is right around the corner! 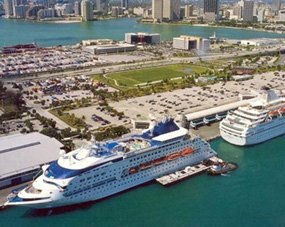 We are also located near Port of Miami and other prime destinations in the area. 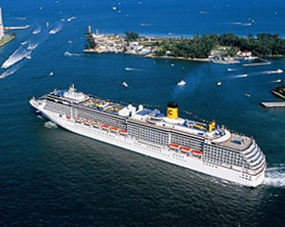 Ask about our cruise discounts! We also accommodate those with disabilities. You cannot match the lowest prices out there, and we will fit within your budget.